Sarah Scott Frank, PhD, founded OpenLiteracy in 2012 after working in universities for over a decade. She is passionate about improving student achievement outcomes by ensuring that all students experience high quality literacy instruction. Sarah has 16 years of experience working in schools and universities as a teacher and teacher educator. She has taught undergraduate, master’s, and doctoral level courses at the University of Michigan and the University of Pittsburgh in the area of literacy education and has been lauded for her practical and accessible approach to the complex work of teaching young children to read and write. In her work with districts, schools, and charter management organizations, she is committed to improving literacy outcomes through online and on-site professional development. This is a guest post written by Sarah Scott Frank, PhD, Founder of OpenLiteracy, a BloomBoard partner. We want all kids to read well by the end of third grade, the year when reading abilities can predict the likeliness of high school graduation. The idea is so important that 18 states and the District of Columbia have mandatory third grade retention policies requiring students to demonstrate proficiency in reading or be “held back”. Additionally, over half of states have remediation and academic support policies in place for students who are not reading at grade level by the end of third grade. 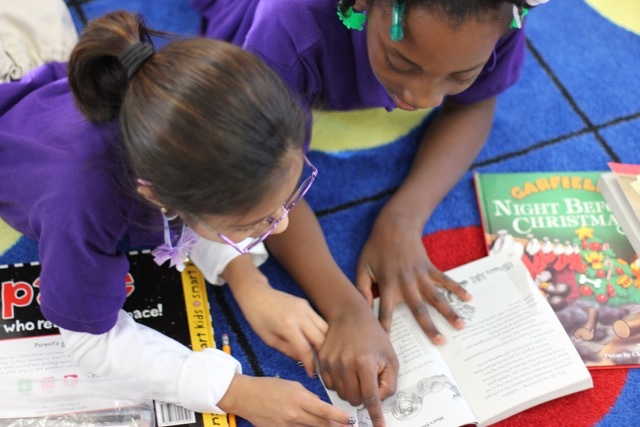 The challenge of supporting all students to read at grade level by third grade is that our policies are often not aligned with meeting this goal. To do so would require ensuring that every child has a teacher who is well versed in the specialized knowledge and skill required early elementary reading.